Some info on the new menu at Saba and Saba To Go! I've been hearing good things about Saba and Saba To Go recently on the Twitter machine. They've recently launched a "healthy" menu and over the next few weeks I'll be popping in for a taste. The healthy options have low calorie dishes in gluten free, paleo, and low glycemic options. Saba and Saba To Go has all your healthy needs covered with naturally fresh, delicious and nutritious food served in the popular Clarendon eatery or delivered straight to your door. Both Saba and Saba To Go have partnered with Erika Doolan of Nutrition Ireland to create a menu, which denotes calorie content and dietary options including coeliac and paleo dishes. The menus have been redesigned with symbols added to highlight the calorie content. Saba Slim (SS) represents dishes that contain less than 250 calories while Saba Light (SL) signifies that a portion is less than 400 calories. 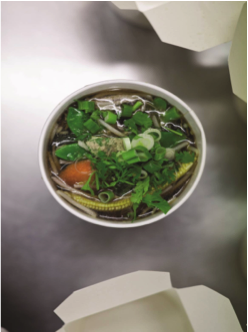 Authentic recipes created by Executive Chef Taweesak Trakoolwattana are naturally packed with nutritious ingredients, superfoods and antioxidant’s which are a powerful natural medicine. The food at both Saba and Saba To Go is naturally dairy free with a wide range of dishes being gluten free. If you see a dish that is not gluten free, just ask as most dishes can be modified to cater for your needs. 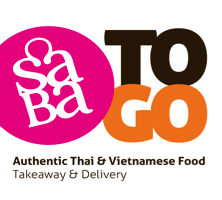 Saba To Go has also added a Paleo friendly section to the menu with the creation of two new Paleo dishes, ‘The Green Machine’ and ‘The Caveman.’ Paleo is a dairy free, wheat free, soya free, and legume free healthy eating plan which has become increasingly popular in Ireland. All Saba meals are low glycemic load, meaning they will keep you fuller for longer and will not spike your insulin. Saba and Saba To Go also offer the choice of brown rice to reduce the overall glycemic load. All of the vegetables, herbs and spices used are fresh and retain their goodness as the cooking methods hold onto the most amounts of nutrients possible. Saba opens from 12pm until late, seven days a week and is located on 26-28 Clarendon Street, Dublin 2. For bookings Tel: +353-1-6792000 or log onto www.sabadublin.com. Let us know what on you think on Facebook and Twitter.